Although our name says "Paving", Sanchez can also meet your concrete needs. From new installation of curbs, gutters, and sidewalks, to repair of existing facilities, we are available to address any needs you may have. Curbs. New Curbs can are installed for appearance, stormwater control and safety of the public. 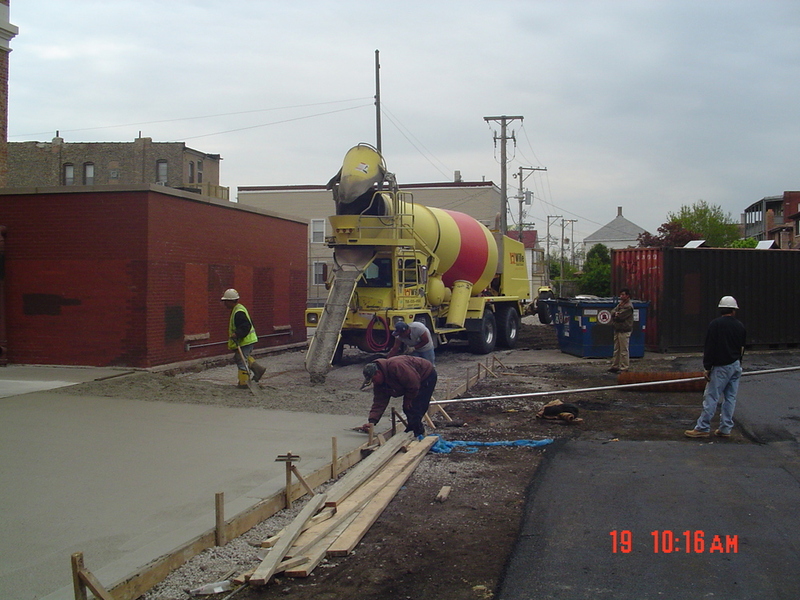 Sidewalks are most often constructed of concrete, primarily for its ability to maintain a straight, rigid edge. ADA Compliant Ramps. Existing curbs and sidewalks are saw-cut and removed and replaced with ADA Code Compliant access ramps with ADA Safety Tiles. Driveway Aprons are the pathway between parking lots and streets. While appearing to be little more than a sidewalk with the curb removed, approaches are significant concrete structures that are designed to withstand considerable traffic. Dumpster Pads. Where dumpsters are emptied frequently, a concrete dumpster pad is a better alternative to asphalt. When garbage trucks lift loaded dumpsters into the air to dump them, the loads on the pavement from the front tires of the truck are enormous, localized, and repetitive. The rigid surface that concrete provides distributes that load across a wide area, reducing the stress on the soils beneath to a level that they are able to bear without displacement.